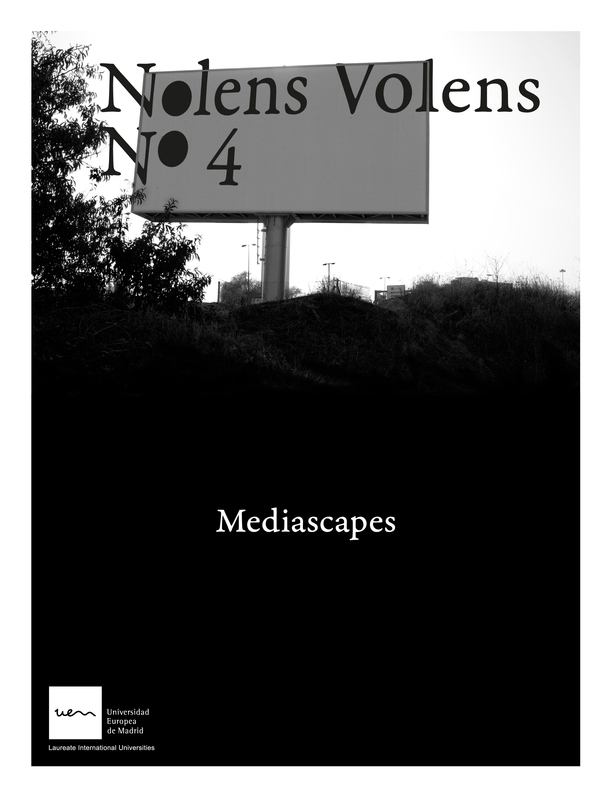 This fourth issue of Nolens Volens has been edited in collaboration with Alfredo Cramerotti, member of the curatorial group Chamber of Public Secrets, in the framework of their participation in Manifesta 8. The subject explored was “mediascapes”. And the contributors have worked with the concept of how the media construct rather than reflect the world; they are hardly a public forum, and have transformed into an industry which has a powerful influence and exerts discursive manipulation over the audience and society. Extending the notion of reality as a construct, as symbolic coordinates that determine our experience of reality, the central importance of the media in the definition of the framework in which reality takes place in the contemporary world is evident. Since the spread of what is denominated as communication technologies, the construction of reality through the media establishes the limits of our possible experience in a construction of the world with a totalizing vocation. Baudrillard’s critical considerations of simulacra and hyper-reality or Debord’s spectacle are positions which, although they are an efficient diagnostic of the state of matters, do not leave many options for operating in an effective way in the construction of a set if images that determines our experience of reality from other positions, opposing the versions of media power. Thus, the experiential framework proposed by the business conglomerates of communication should be confronted with other forms of treating, narrating and, finally, constructing this certain sense of reality. Lastly, we are printing an excerpt of Alfredo Cramerotti’s book “Aesthetic journalism: How to Inform Without Informing” (2009), published by Intellect, which discusses how the production of truth has shifted from the domain of the news media to that of art and aestheticism, which marks a new approach to the debate of the possibility of the critical potential of art within the aestheticization of the information.